Thank you, philsphan67. It is a fantastic read. I also enjoyed reading the article, thanks for posting it. His career arc reminds me of Ryan Howard's...truly played at a HOF level and was one of the game's dominating sluggers for a stretch but an abrupt drop-off which fatally shortcircuited a developing HOF resume. Former Phils farmhand Cord Sandberg has signed to play college football at Auburn. The Tigers have landed a QB commit and he will join the program soon. He's getting a full scholarship at Auburn, so Phils won't have to pay his way. I'm assuming Giles is not even the key piece of that trade, despite Osuna's issues. One-time Philllies pharmhand Jimmy Cordero makes it to The Show with the Nationals. Jonathan Villar moves to Baltimore in the Jonathan Schoop deal. I got to imagine though that it will probably feel weird for him being a 24 year old freshman, older than possibly all of his senior teammates and being a soon-to-be-married guy. Chris Weinke was 28 when he won the Heisman. Drew Hutchison opts out of his contract with the Dodgers. RHP Drew Hutchison, who had thrown 23 consecutive scoreless innings at the Dodgers’ Oklahoma City affilIate, opted out of his minor league contract. Hamels 5 IP, 3 H, 0 ER, 2 BB, 9 K in his first Cubs start last night. This might end up being the deal we wish we had made. Velocity was 95-96 early in the game. Change of scenery to a good team and away from the Texas heat might be just what he needed (though of course there would be a bit more pressure in Philly). Hamels was the one I wanted too....the Phils have $$, it was for this year and next at worst and would not have costed them too much. And then Pivetta or Velasquez goes to the bullpen. Overall, I am happy with the direction of the Phils and the fact that they didn't give up the future for this team. Best of luck to Cole Hamels, it would be great to see him pitch at CBP this year. Texas Ranger highlights (lowlights) on the local news tonight featured the first start for the Rangers by former Phillie Drew Hutchinson. We were treated to a 3 run home run and a 2 run home run, both off the bat of Mark Trumbo. Hutch went 3 innings, 6 hits, 6 runs, 3 walks, NO strikeouts, and the 2 home runs. O's downed the Rangers, 9-6. Rangers actually lead 5-4 after two innings, but the second Trumbo home run in the third inning put the O's up for good. 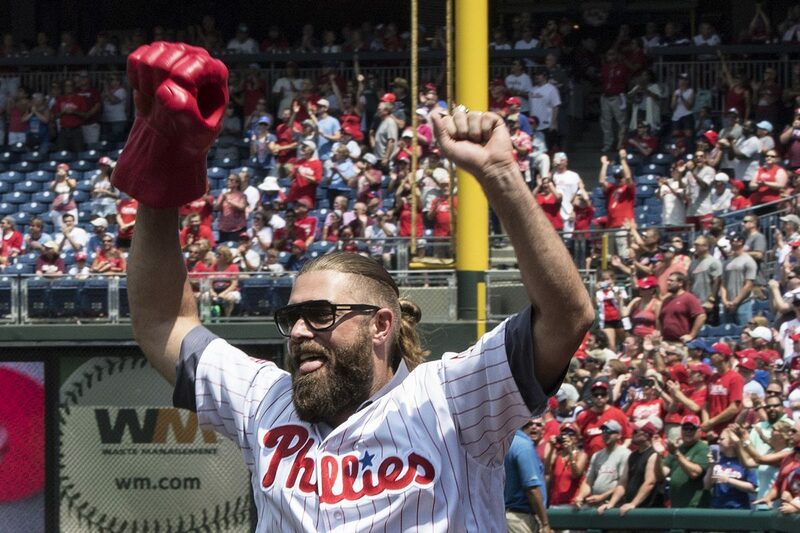 It pleases me to see that Werth and Phillies phandom have buried that hatchet. 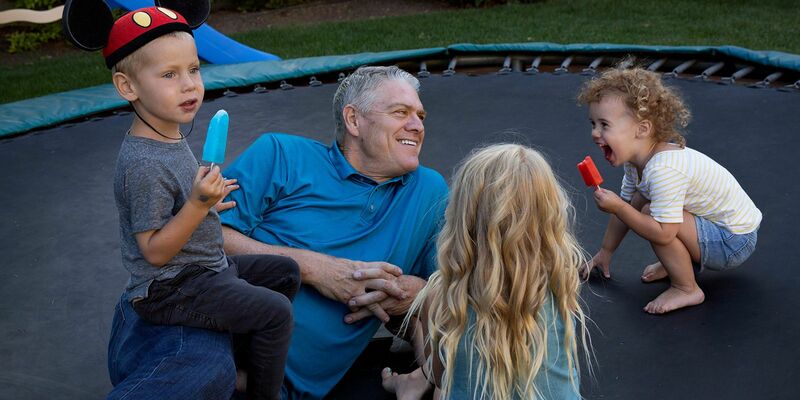 Though some have criticized the Phillies organization for treating its players poorly, they do a good job of kissing and making up with those who leave the organization in a contentious manner. See, Allen, Bowa (three times), Green, Schilling, Mesa (brought him back for another tour of duty after he sulked and packed up his stuff and left instead of taking part in the Vet's closing ceremonies), arguably Burrell, now Werth just to name a few. Jayson Werth was embraced at Citizens Bank Park on Sunday as the 2008 World Series team was celebrated. More Jayson Werth news, as the former Phils outfielder is apparently not a fan of analytics, which he believes is ruining baseball. I understand Werth’s feelings, but I think he’s wrong about analytics hurting baseball. 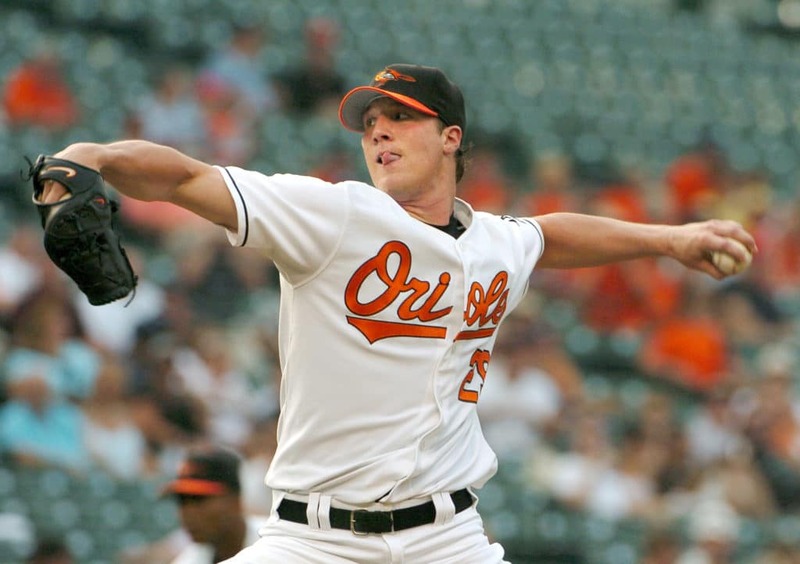 I also found his comments about “super nerds” to be somewhat unfair, as I’m sure many of the people whose metrics he’s maligning played competitive baseball at some point in their lives (though probably not professionally) and know a lot about the game. I’d be interested in knowing what Jayson thinks of the former players who’ve wholeheartedly embraced analytics. Does he think Gabe Kapler, Aaron Boone and Alex Cora also know nothing about baseball? I loved Werth as a player but he always seemed like kind of a bro (what you'd call a "dumb jock" back in the day). Ironic that he himself was loved by analytics-minded fans, and analytics would have helped get him signed by the Nats (since Boras is famous for his binders), whereas the Phillies only saw a guy who didn't bring enough "clutch" hits or home runs. 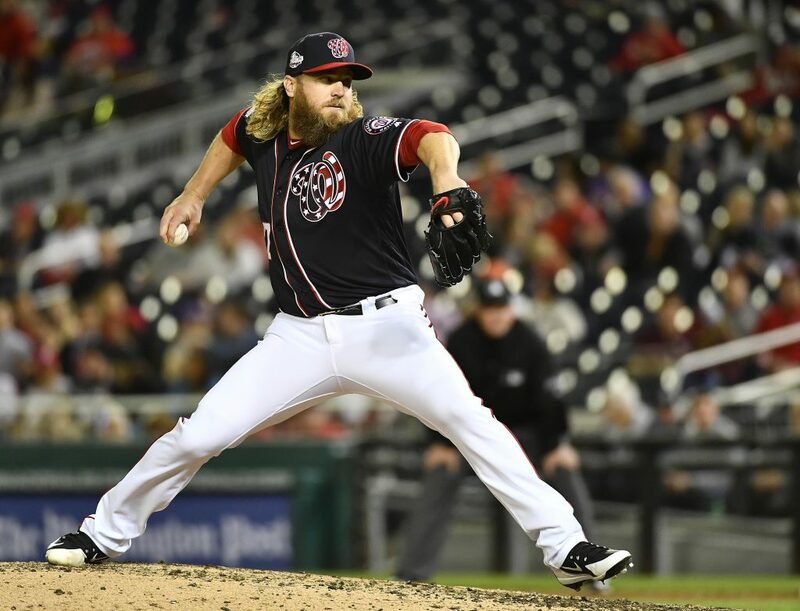 Adam Loewen, the highest-drafted Canadian-born player in MLB history and current lefty specialist in the Atlantic League, thinks he has one more comeback left in him. 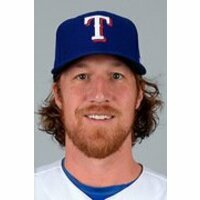 All Professional Baseball Statistics for Adam Loewen. So called "Joe Morgan Syndrome"? I can't find the article but someone called coined the name after Morgan frequently trashed the system of analytics that justified him as a great player.